In order to officially reserve a hedgehog through Sonoran Desert Hedgehogs we require a non-refundable deposit of $50 dollars. Pick of litter will be reserved for those who have placed a deposit. We will contact each person on our list and give them a 48 hour window to respond. If no response is received we will move to the next person on our list until all who have initial priority have been contracted. 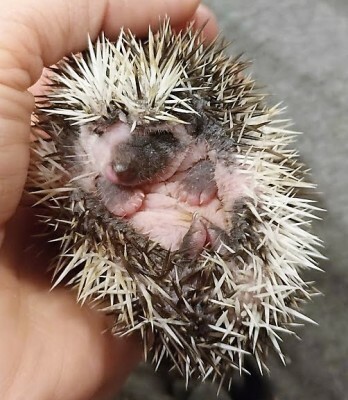 Once those who reserved hedgehogs from the litter have picked their hedgehog those who have not placed an initial deposit will be allowed to pick their hedgehog. A deposit will still be required to hold your hedgehog until it is ready to go home. The total cost of the hedgehog will include the non-refundable deposit. Reservations are also based on qualifications. Sonoran Desert Hedgehogs reserves the right to deny sale to homes that may not meet our ownership standards. The average pricing of baby hedgehogs is $200-$325; however, this may vary based on color and temperament. Included in this price is the $50 non refundable deposit. We currently accept cash, money order/cashier check and PayPal for payments. We do not sell to pet stores or wholesalers. We reserve the right to deny sale to homes that may not meet our ownership standards. We will ask questions about set up and home environment. We may ask for proof of set up before allowing a hedgehog to go home. We do offer the option for you to buy supplies from us to ensure you have a proper set up, though it is not required. Our hedgehogs are only sold as a family pet we do not sell for breeding purposes. You will sign a contract agree not to breed our hedgehogs. If interested in multiples we will not sell opposite sexes to the same household. This is to prevent accidental breeding. We will sell two females together. We have found two females to live happily together in the same cage, but it should be kept in mind that they may require separate housing in the future. We only sell to those over the age of 18. We require a parent or guardian for anyone under that age. We require proof of ID when purchasing a hedgehog. All customers must sign a contract agreeing to maintain care for the hedgehog and supplying necessary veterinary care. They also sign an agreement that they will not breed their hedgehog. We never sell our hedgehogs for breeding. We offer a 7-day health guarantee. If within the first 7 days of bringing your hedgehog home you find they are not feeling well, we will offer a refund or a replacement. We will require written proof of vet visit and diagnosis that states the illness is due to Sonoran Desert Hedgehogs (at the cost of the new owner). We also offer a 6 month congenital health guarantee. This covers congenital defects (unless previously advertised). Health problems need to be deemed to be "genetic" by a qualified exotic veterinarian who is well versed in hedgehogs and cannot be a result of lack of vet care, improper diet/nutrition, poor housing, toxic/harsh cleaning agents, essential oils, neglect, abuse or accidents. If your hedgehog if found to have a genetic defect, that jeopardizes the quality of its life we will replace the hedgehog at no additional cost. All vet records must be provided to Sonoran Desert Hedgehogs. If the hedgehog dies due to a congenital disease/defect a necropsy report must be provided to Sonoran Desert Hedgehogs to receive a replacement hedgehog. Our hedgehogs come with a lifetime guarantee against wobbly hedgehog syndrome (WHS).Wobbly hedgehog syndrome can only be diagnosed through a necropsy. Buyer assumes all financial responsibility of the necropsy and related expenses. 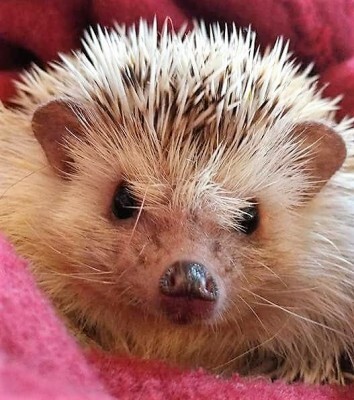 If wobbly hedgehog syndrome is found through necropsy by a qualified exotic vet Sonoran Desert Hedgehogs will replace the hedgehog with a hedgehog of equal value. Necropsy Report and all vet records must be provided to Sonoran Desert Hedgehogs to receive a replacement hedgehog. Sonoran Desert Hedgehogs does not offer any warranty for any cancer or tumor related illness/death. Sonoran Desert Hedgehogs will not replace hedgehogs who passed due to accidental death, neglect or abuse. 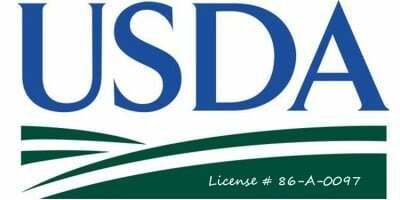 This includes improper set up, nutrition, or improper handling. Sonoran Desert Hedgehogs is never responsible for any vet bills once the hedgehog has left our care. If you adopt a rescued hedgehog from us we do not guarantee the health as we do not know the history and are unable to guarantee the health or genetics. We will contact those who have placed a deposit for a baby in the order they were received. At that point we will give you 48 hours to reply before we contact the next person. If you do not respond within 48 hours, we will contact the next person on the list. You will not lose the ability to pick, but you may lose place in the order we originally received deposits. Once they are of age to go home (around 6 to 8 weeks) we will set up a time for pick up. It must be within 7 days of ready date. Sonoran Desert Hedgehogs, may keep a hoglet for an additional period if they are not ready due to growth. If this is the case we will be in complete communication. We will also do our best to give an estimate of when the hedgehog will be available to go home. We will set up a time for pick up. We will allow you to come to us or we may come to you. We are based out of the city of Maricopa. At the point of pickup we will go over general care, which will include going over nail clipping, baths, and cage setups. We prefer to have the main caregiver to be the one to pick up/meet. Talk to us more about special occasions. We have been known to make exceptions to the 7 day rule. If at any point you decide you cannot keep your new hedgehog, you must return him/her to Sonoran Desert Hedgehog. If you return the hedgehog within the first 60 days, you will be eligible for a partial refund. Please keep in mind $50 dollars of your purchase price is nonrefundable. After 60 days you will not be eligible for a refund, but Sonoran Desert Hedgehogs does require their hedgehogs be returned to us. We handle everything on a case-by-case basis. If you decide your new hedgehog is not for you within the first 7 days you may be eligible for a full refund (not including the non refundable deposit). If there has been any sign of neglect or abuse, the refund amount will be forfeited to help pay for future vet bills the hedgehog may require. Sonoran Desert Hedgehogs will do our best to properly identify color, but color can drastically change as the hedgehog matures. Though color can affect the quoted price of the hedgehog, color may change with age. Sonoran Desert Hedgehogs will update color prior to them going home. We do not offer refund on price if color does not match original classification.